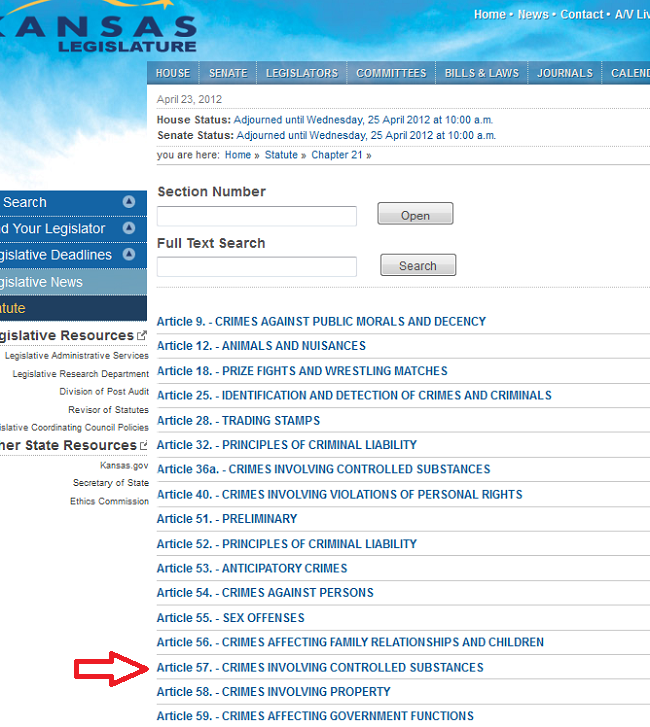 You can read the law for yourself--follow these tips for finding statutes online. The articles on this site contain citations to the laws that they explain. 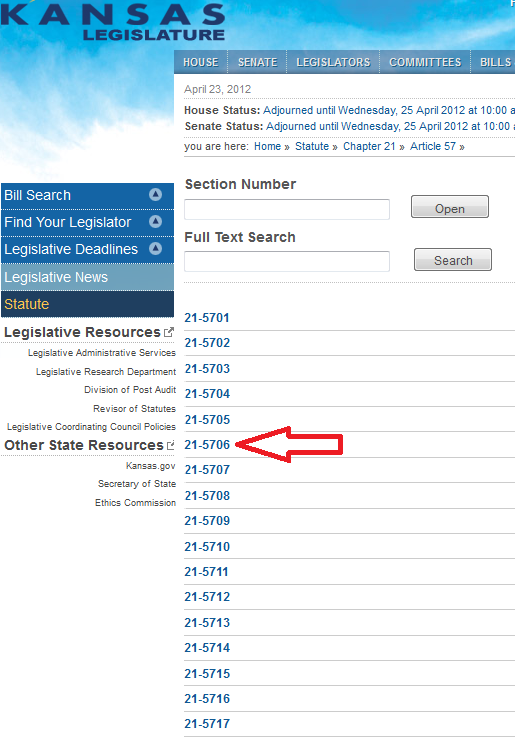 For example, when explaining Kansas marijuana laws, we give you a citation to Kan. Stat. Ann. 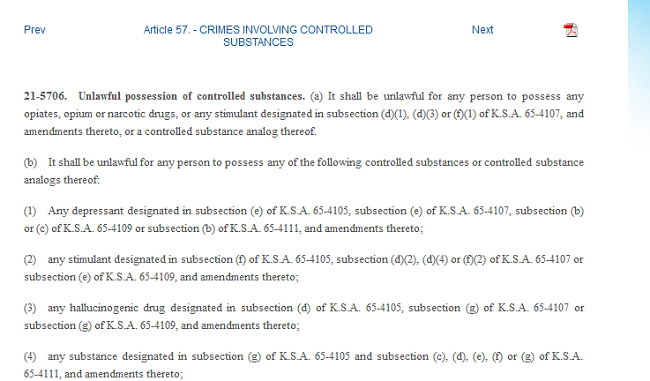 § 21-5706(b)(3), which is the statute that makes marijuana possession illegal in Kansas. If you wanted to read the law itself, you can find it online. Every state has posted their statutes online. Most states place them on their official state websites, but there is no standard way that the states present their laws. Some states have clear, straightforward web pages that make it easy to find the law; others are complicated and just not that user-friendly. If you’re patient and persistent, you should be able to locate the text of the law you’re interested in. 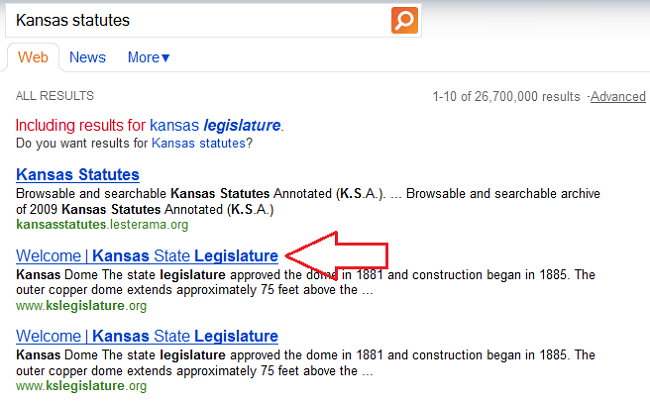 Here is an example of how you might find the Kansas law mentioned above. 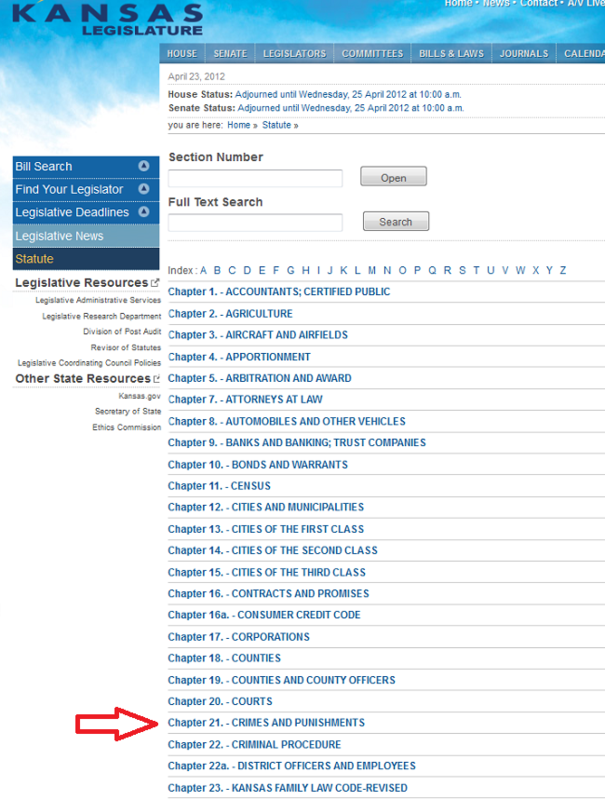 First, type the phrase “[state] statutes” into your browser’s search box—in this example, we typed “Kansas statutes,” and got the results list shown below. Remember, this illustration is only that—each state has arranged and presented their laws in their own way, making the task of finding them easy or difficult. If you run into difficulties, try simply pasting the entire citation into your browser’s search box. You may find a list of results that will include a direct link to the law.